The Very Best Music in the World brings people together - and it accomplishes this feat with little regard as to how it gets the job done. Today's artist profile is the one-of-a-kind blues and folk phenomenon Abner Jay. The storytelling, good times song man made a lasting mark on modern musicians by churning out music that draws people in. Good stories, real people - and funny... Everything gets an "Abner Jay twist." 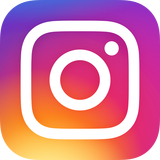 [ed. 's note: You'll see.] The magic here isn't in any specific part of his art - it's as much Jay as it the music or the words of his songs. This is real. I sat down with some old friends just the other night and had some good times. (I don't do that enough.) Inevitably, as music lovers, the topic of great musicians was brought to the surface (aided along the way by truly lovely micro-brewed beers.) Before long, the topic shifted to the unique Abner Jay - an almost immeasurable folk talent. The man was a master of self-promotion. If you ever see an Abner Jay original hand-produced LP (with Abner Jay's own handwriting all over it) in a used record store - buy it immediately, they are Very Rare. The Audience only had to attend one Abner Jay live show. Then they belonged to him - and would return again for more. There's a certain charm in art at street level. But from all accounts, there was a relationship there. Abner really seemed to cared for his audiences. He told interesting stories and funny anecdotes about life's lessons or a troubled youth. His words spilled out to Jay's multi-racial audiences. Jay was a good storyteller, generally using the tools of honest and self-depreciation in spinning a yarn between songs. But Abner Jay had a trouble side. Abner proved to be as passionate about the wives of married men as he was about music. (As one might expect, Abner's widely rumored dating practices, tended to make his life unsettled.) And, Abner was no stranger to drug and alcohol abuse. Because of his honest, personal approach to songwriting, Jay held back few details about the way he felt and what he had seen, done and learned along the way. 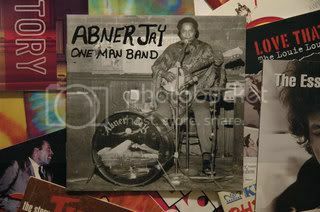 "One Man Band" - Abner Jay was also known in some parts as "Abner Jay - One Man Band" - a long professional title that carried with him for all of his adult life. Jay played the drum with his foot and picked at an electric six-string banjo. He played harmonica in time. And for there (and possibly various other reasons) a lot of people fell in love with his approach to music. because that’s where I hang out.